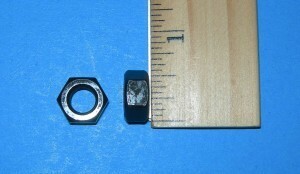 3/8-24 black hardened steel prop nut. Suitable for replacement of missing or damaged glow engine nuts. More than strong enough for electric power system prop adapters. Item is one nut. 1/4-28 Thread. Tip thread is 8-32, useful for holding on spinner cones. Item is 1 unit, all sizes shown in photo for clairity. 8x1.25mm black hardened steel prop nut. Suitable for replacement of missing or damaged glow engine nuts. More than strong enough for electric power system prop adapters. Item is one nut. 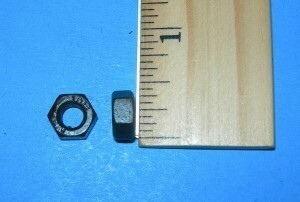 1/4-28 black hardened steel prop nut. Suitable for replacement of missing or damaged glow engine nuts. More than strong enough for electric power system prop adapters. Item is one nut. 1/4-28 Thread. Shape is round nose bullet spinner. 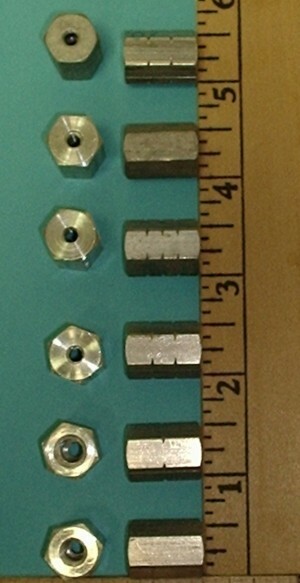 OD: 1.25" (31.73mm). Length: 1.177" (29.9mm). 5/32 to 3/16" or 4mm music wire and 5/32 or 4mm Allen wrenches are ideal installation tools. Stock photo from Dubro. Item is 1 spinner nut only. 5/16-24 Thread. Shape is round nose bullet spinner. 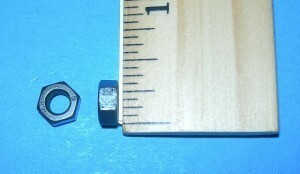 OD: 1.25" (31.73mm). Length: 1.177" (29.9mm). 5/32 to 3/16" or 4mm music wire and 5/32 or 4mm Allen wrenches are ideal installation tools. Stock photo from Du-Bro. Item is 1 spinner nut only. 5/16-24 Thread. Tip thread is 8-32, useful for holding on spinner cones. Item is 1 unit, all sizes shown in photo for clairity. 5x0.8mm black hardened steel prop nut. Suitable for replacement of missing or damaged glow engine nuts. More than strong enough for electric power system prop adapters. Item is one nut. 5/16-24 black hardened steel prop nut. 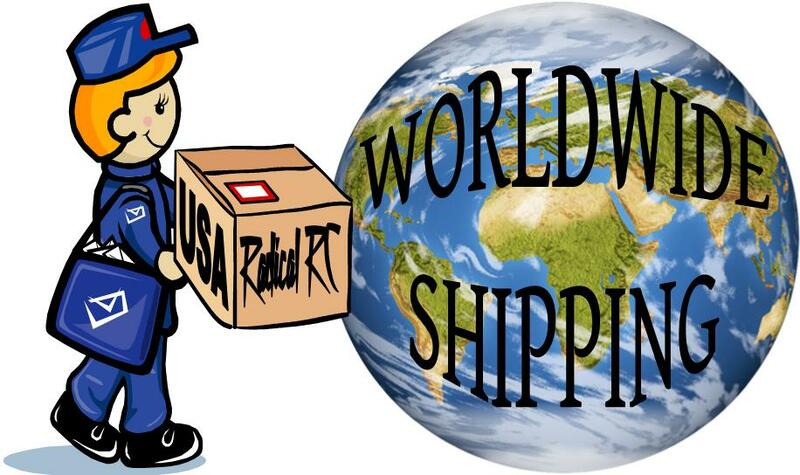 Suitable for replacement of missing or damaged glow engine nuts. More than strong enough for electric power system prop adapters. Item is one nut. 7MM Thread. Tip thread is 8-32, useful for holding on spinner cones. Item is 1 unit, all sizes shown in photo for clairity. 6x1mm black hardened steel prop nut. Suitable for replacement of missing or damaged glow engine nuts. More than strong enough for electric power system prop adapters. Item is one nut. 6mm Thread. Tip thread is 8-32, useful for holding on spinner cones. Item is 1 unit, all sizes shown in photo for clairity.